Your individual development plan may be the single most important document to advance your career. You will depart this workshop with your personal plan and the skills and tools to coach and develop Millennials and other career minded staff members on your team. Participants will learn and experience the connection of effective coaching and feedback to each managers team to be able to improve their ability to execute consistently. In the majority (around 70%) of executive failures, the real problem isn’t bad strategy. The real problem is bad execution, according to the Fortune Magazine article titled, "Why CEO’s Fail". At its core, execution comes down to setting clear expectations and regular coaching and feedback. 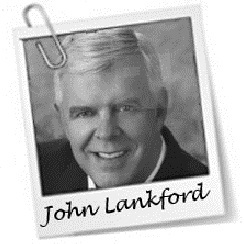 Four-time winner of the Business Advisor of the Year in North America, John D. Lankford is passionate about development, performance and results. An expert in executive coaching and developing leadership talent, his fun and lively approach motivates others to embrace development and innovative ideas. As a certified Executive Coach and 4 Time Business Coach of the Year, John loves to coach leaders on his proven coaching techniques. His impressive background is unique, boasting 23 years of corporate and 12 years of entrepreneurial experience. John has facilitated more than two dozen mergers and acquisitions, as well as launching three businesses and ultimately selling two. John provides hands-on, triage support that produces measurable results in real-time. His process provides laser focus on the execution of “the plan.” John’s coaching and accountability teaches business leaders not to be distracted by bells, whistles, or fads. His leadership experience covers every level of management from front line supervisor to becoming the former CEO of the Innisbrook Leadership Institute. His leadership track record includes leadership positions at the Executive Education team at Ford Motor Company, Oakwood Healthcare, Comcast University and the St John Healthcare system. He has earned a nationwide reputation for developing current and future leaders. John has been tapped as an expert business source by prominent media such as The New York Times, CBS, and dBusiness Magazine, in addition having written a syndicated business column.